Motorcycles are one of the most exciting modes of transportation out there — but they are also one of the most dangerous. Although most motorcycle enthusiasts make certain that they are acting in a safe manner, they are often helpless when it comes to protecting themselves from the negligent actions of other drivers. But a Fort Lauderdale motorcycle accident attorney can help. When someone is driving in a careless or reckless manner, the results can be devastating for those riding motorcycles. Severe injuries and even death can occur. In fact, motorcycle operators are involved in 11.3% of all traffic accident-related fatalities in the United States, even though motorcyclists make up only 3% of the driving population. With troubling statistics like these, the risk for serious injury or death will always be present when operating a motorcycle. If you or a loved one has been severely injured in a Broward County motorcycle accident, you may be eligible for compensation with the help of a qualified Fort Lauderdale auto accident attorney. The time is now to start considering your legal options. 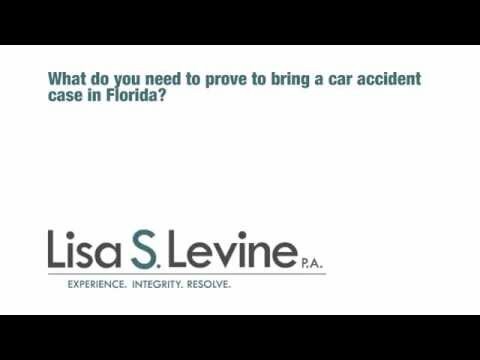 Our firm, Lisa S. Levine P.A., is here to help you achieve a favorable result. As a full-service practice, we handle every aspect of your case so that you can focus on what is truly important: getting better. We are a proactive legal team that uses our analytical abilities to develop a fact-based argument against the offending party. Offering cost-effective and comprehensive representation, we are mindful that this situation can strain finances and will not ask for a dime in legal fees unless you win your case. We are trial lawyers who are ready to represent you in court so that you can get the payout that you deserve. Our firm is a staunch advocate for legal and constitutional rights, and we will do everything in our power to protect you and your family throughout this difficult and complicated process. We focus on an honest and transparent approach, allowing you to stay up to date on the proceedings while also feeling confident that we are looking out for your best interests. We proudly represent individuals and families throughout Southeastern Florida, including those located in Broward County, Miami-Dade County and West Palm Beach County. Dedicated to a quick response and timely representation, we will immediately begin the litigation process following a free initial consultation. 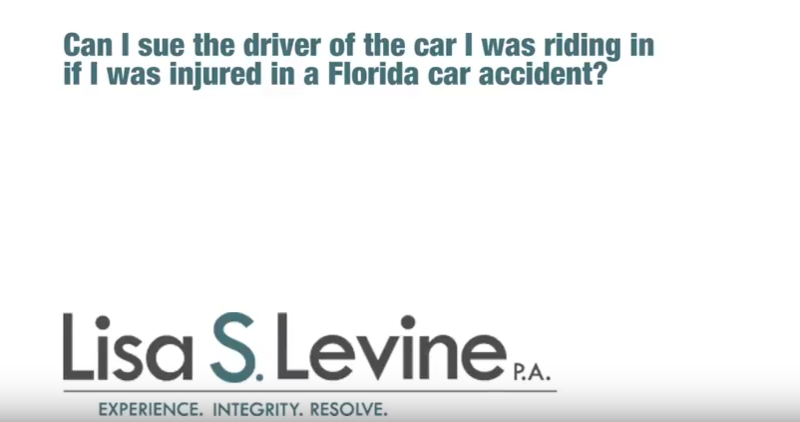 Whether you were injured on a sports bike in Fort Lauderdale, a cruiser in Weston, or a trike along the I-10, call us to schedule a time to meet with one of our attorneys and go over the details of your case. Call 954-256-1820 or send an online message today. According to §322.12(5a), any applicant for a drivers license to operate a motorcycle is required to successfully complete a Basic Rider Course through the Florida Rider Trainer Program. Doing so will enable them to add a motorcycle endorsement to their drivers license. For the motorcycle itself, Fla. Stat. §316.405 states that, any person who operates a motorcycle on the public streets or highways shall, while so engaged, have the headlight turned on. Failure to comply with this section shall not be admissible as evidence of negligence in a civil action, but the violation of this may be considered on the issue of negligence if the violation is a proximate cause of a crash. Earphones are not allowed while operating a motorcycle, whereas helmet speakers are allowed. §316.2095 discusses handlebar regulations and says that no person shall operate a motorcycle with handlebars that are higher than the top of their shoulders. The state of Florida does not require helmets for drivers over 21 who have at least $10,000 in medical insurance. This provision does not apply to persons riding within an enclosed cab or to any person 16-20 years old (§316.211). Be at least 16 years old, and if under 18, hold a Learner’s License for one year with no traffic convictions. Pass the same knowledge test as for a regular Class E operator’s driver license. You must complete the basic motorcycle safety course. After you complete the course go to a driver license office or tax collector office that issues licenses and inform them that you completed the course. Upon providing proper ID and paying the required endorsements fees your license will be issued with a motorcycle endorsement. Failing to look before making a turn. A statute of limitations is a law that places a time limit on pursuing legal action in relation to negligent conduct. After the expiration of the statutory period, unless a legal exception applies, the injured person loses the right to file a lawsuit seeking money damages or other relief. 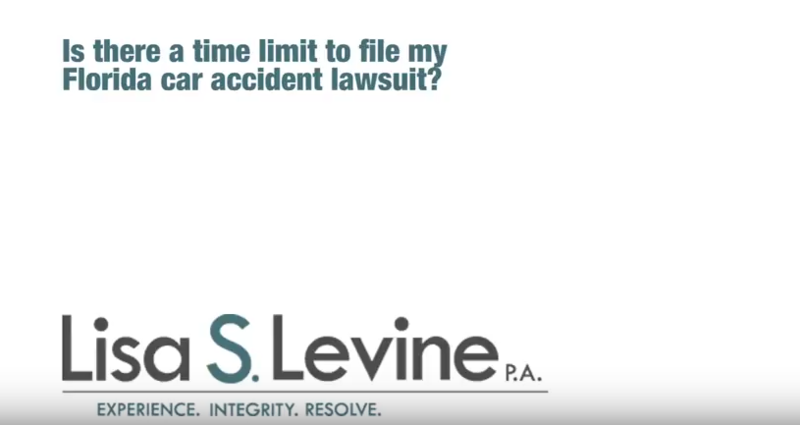 Although you do have years to begin the process, litigation can be at its most effective when undertaken immediately following an accident. Considering the costs and expenses from an injury can pile up very quickly, solving your legal troubles first will allow you to focus on getting better without the overarching worry that your financial well-being is at risk. Motorcycle Safety Foundation – Knowing how to handle you motorcycle is vital in keeping yourself safe. This link will take you to the home page of the Motorcycle Safety Foundation. The site offers information on rider safety, state laws and reports, training, data and statistics. National Highways Traffic Safety Administration – Clicking here will send you to the NHTSA motorcycle web page. The site contains information and resources on helmets, motorcycle safety, studies and reports and state laws and regulations. Motorcycle Safety Information – This link directs you to a detailed site on motorcycle safety. Broken up into four sections, this site relays information on: motorcycle gear for staying safe, motorcycle riding skills and techniques, motorcycle safety studies and motorcycle safety resources and links. 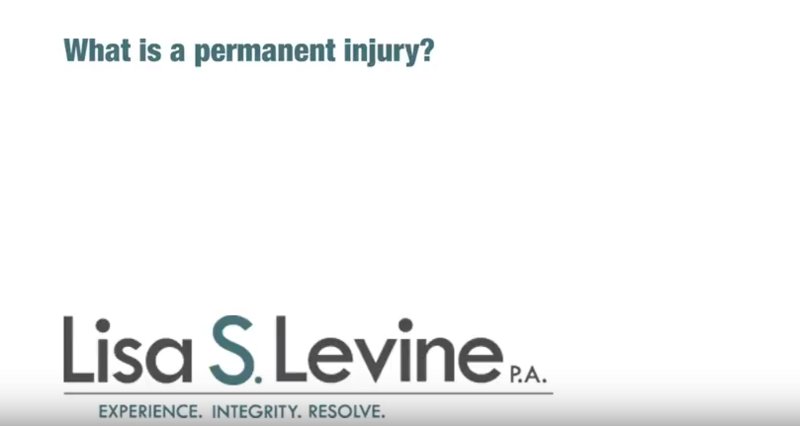 When a serious injury occurs and you want to hold the other party accountable for their actions or pursue compensation, you need to approach the legal process in a measured and deliberate fashion. Knowing what to do after a traumatic experience could mean the difference between having to assume financial responsibility and receiving full compensation for all the related costs. A professional and proactive Weston motorcycle accident lawyer will help you achieve your goals in a timely and effective manner. Our firm will aggressively pursue a fair and just result, using our extensive experience and substantial knowledge of Florida laws and the courtroom process. 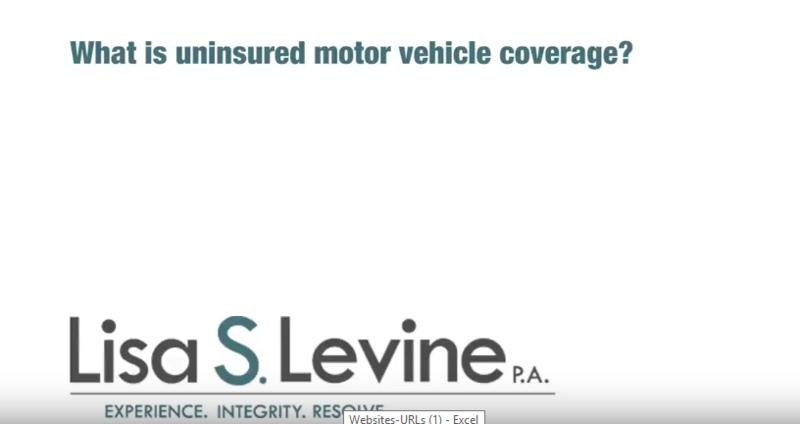 Considering our strong track record of success, we have shown that we can stand up to the sometimes selfish interests of insurance companies and demand compensation on our clients’ behalf. Lisa S. Levine P.A. maintains offices in Broward County and proudly represents individuals and families throughout Southeastern Florida. This includes the cities of Fort Lauderdale, Miami, West Palm Beach, Boca Raton, Jupiter, Aventura, Coral Gables, Hollywood and Sunrise, among many others. 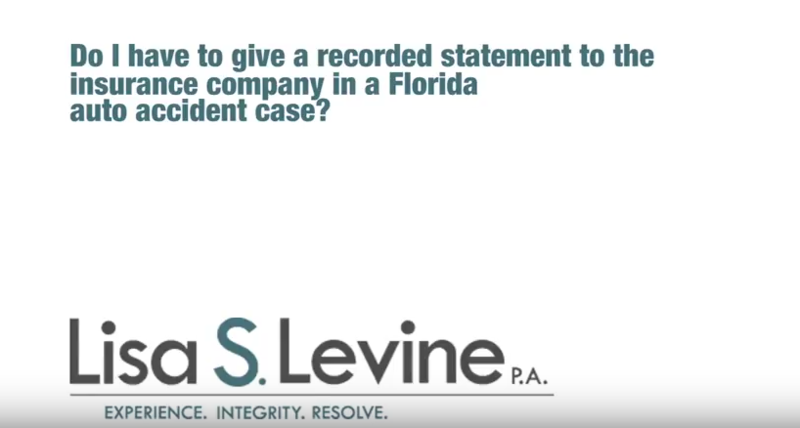 To schedule a free consultation to go over your case with one of our lawyers, please call 954-256-1820 or send an online message today.